As soon as November arrives, the thought of Christmas suddenly comes to mind as do the words Glühwein and Glögg. Throughout Europe, Christmas Markets are getting bigger and better and are a big draw for families especially those with younger children who come to soak up the atmosphere and get into the Christmas spirit. Germany is the birthplace of the modern Christmas market where stalls selling Christmas gifts, food and Glühwein have been set up every year in the Marienplatz since the 14th century! 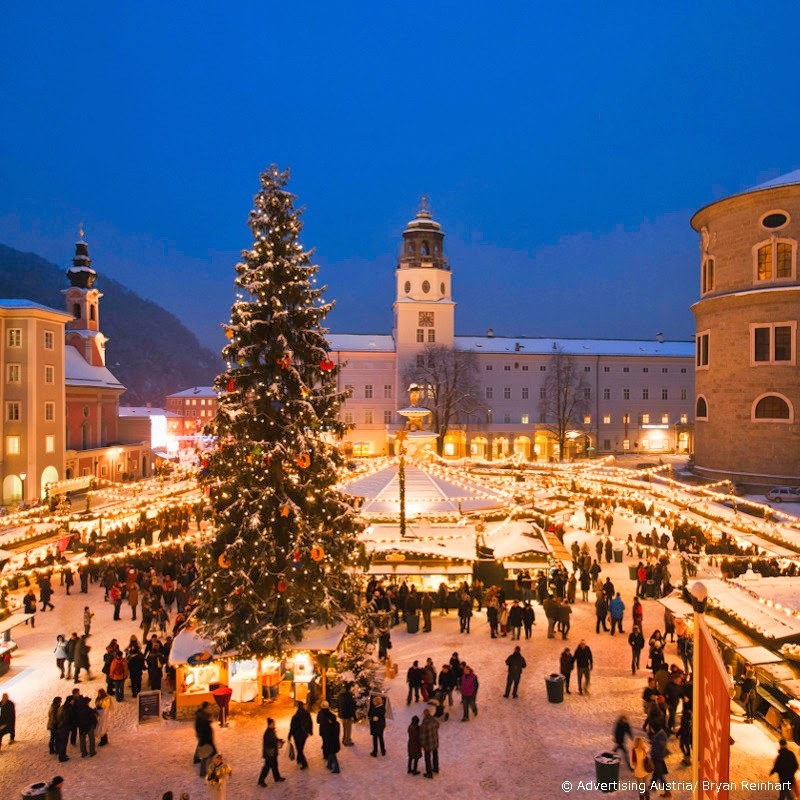 Many ski resorts across the Alps also host a Christmas Market throughout December showcasing their local products - delicious food and mulled wine or Glühwein, as its commonly known. 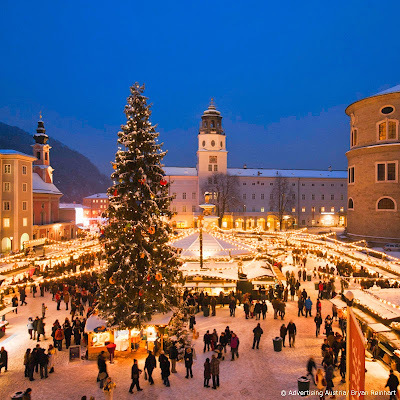 Some of our favourite ski resorts with the best Christmas markets include Garmisch-Partenkirchen, Cortina in the Dolomites and Innsbruck and Salzburg in Austria - not really ski resorts in their own right but within touching distance to many. 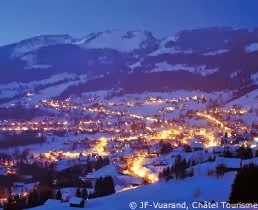 See Mychaletfinder for more ideas on Christmas markets and early season skiing. With the valley temperatures hovering around 20 degrees, the snow melt increases by the day on the lower slopes yet above 2500m, the conditions couldn't be better. 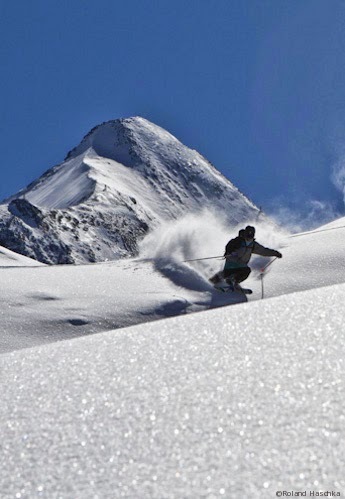 With the good fortune of heavy falls in February and March, many of the higher ski resorts that don't have the benefit of year round glacier skiing, are keeping some of their lifts open until 4th May. And with more snow forecast over the coming weeks with the freezing levels generally staying between 2500 and 2800m - the superb conditions across many of the Alpine resorts is expected to continue. 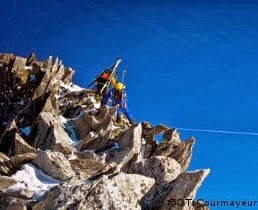 Chamonix is the first choice for many when it comes to late season skiing. The Grands Montets ski area at Argentiere in the Chamonix Valley is open until 4th May and with skiing peaking at 3300m, snow is guaranteed. There is also the 20km glacier Vallee Blanche starting from the Aiguille du Midi at 3842m - just be prepared to walk the last kilometre down to the village as the track towards Les Planards is now a hiking trail! Other ski resorts with late season spring skiing are Les Deux Alpes, which is staying open until 26th April, Cervinia on the Italian side of the Matterhorn, Tignes and dont forget the resorts in Norway and Sweden such as Hemsedal and Sälen. In North America, Breckenridge has just reported it is extending its season by another week and Vail has virtually the whole mountain and back bowls in full swing with still an incredible 4,800 acres to explore - the last day is 20th April. Apart from warmer weather (usually! )where you can ski in a T-shirt, hardly any lift queues and reduced lift prices, the other major advantage of going on a ski holiday out of the main season is that the accommodation costs are significantly lower. Bargains are to be found everywhere whether you are looking for a self-catering chalet or hotel and you are more likely to get exactly what you are looking for - close to the centre, slopes and apres-ski. 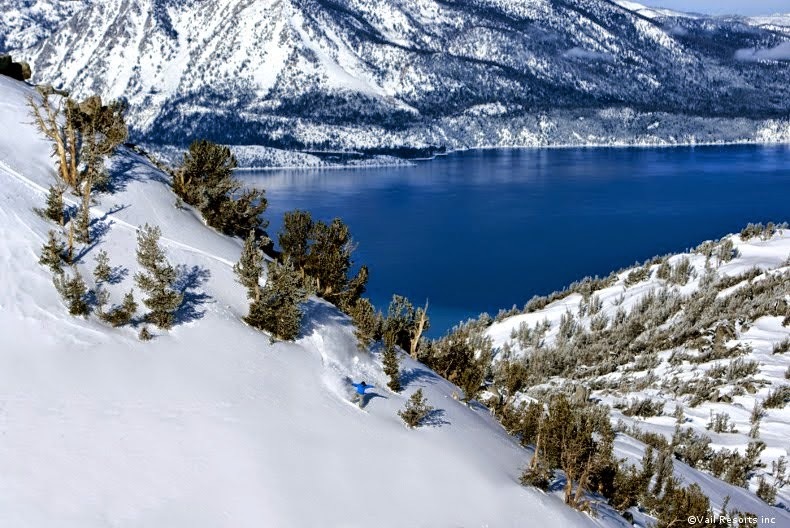 So while many people have packed up their ski gear and are planning their summer holidays, this time of year can offer excellent skiing and some the best value for money ski holidays of the season. See Mychaletfinder for more ideas on late season and summer skiing holidays. Summer holidays in Zell am See? 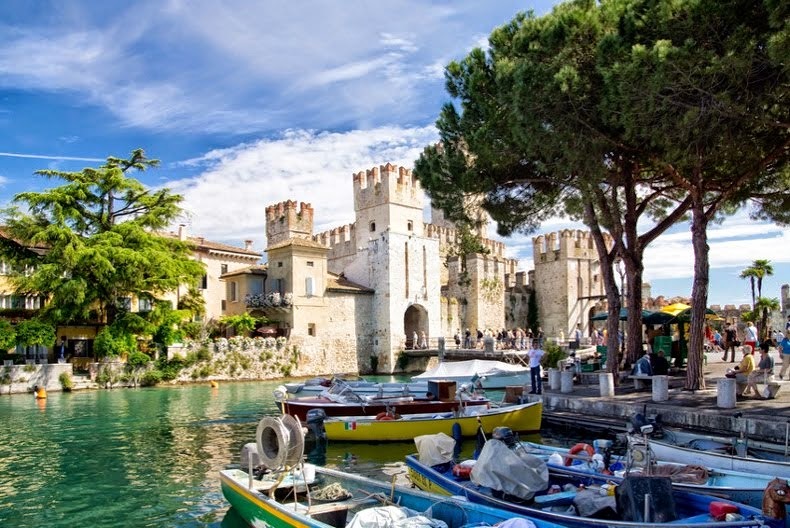 Not just a ski resort but a very popular all year round destination especially during the hot summer months. Just 80kms from Salzburg, Zell am See is a medieval town sitting on the shores of Lake Zell and offers everything you could wish for on your lakes & mountains holiday. 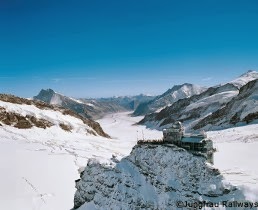 If you like sports, a typical day could involve summer skiing on the Kitzsteinhorn glacier high above Zell's close neighbour - Kaprun. There are around 20km of pistes and a snow park with an average vertical of 743m . However, the on-piste terrain can easily double in size as it can snow virtually any day of the year at 3300m! The ski lifts operate until 9th June then open again from the end of June to mid July and re-open again at the mid / end of September. 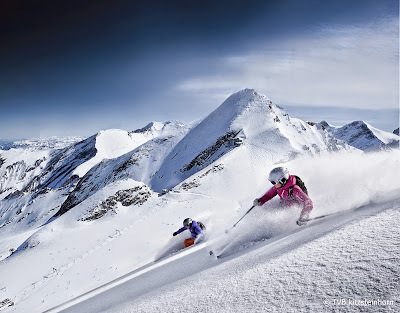 For non-skiers, the Kitzsteinhorn is open all year round. 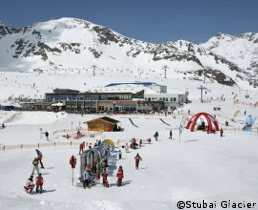 On the glacier plateau, there is an ice bar, restaurant, childrens play area and snow beach for sunbathing! From this altitude, the views of the town, lakes and surrounding peaks are spectacular and makes you feel on top of the world. When the snow gets too slushy to ski, the afternoons can be spent sight seeing or sunbathing at the lido by the lake. There are plenty of water sports available - hiring a boat or even doing some wind surfing. This chic and cosmopolitan resort sitting under the gaze of the mighty Matterhorn mountain on the Swiss - Italian border is just as busy in summer as it is for the winter ski season. People from around the world come to soak up the alpine atmosphere, trek around the stunning mountains and even go summer skiing on the glacier up at 3899m! There is an incredible 21km of pistes to ski, largely for beginners and intermediate skiers and boarders although there are a few blacks to be found especially after a summer snow storm! You will see many international ski teams training on the glacier as the summer skiing terrain here is extensive and you still get a massive 960m of vertical! The lifts open at 7.30am in the summer months and the best skiing is to be had in the morning. From lunchtime onwards, the snow starts to turn to slush so its best to head back to the village and try one of the other activities on offer. Golf, mountain biking, a trip to Saas Fee or simply chilling out by the pool and sunbathing. 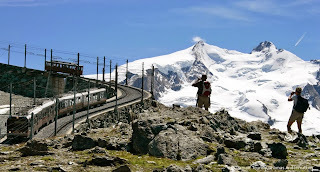 Another popular afternoon excursion is to take the Gornergrat railway up the mountain and look out at the amazing Monte Rosa massif - the views are spectacular. If you want to go for a summer holiday in Zermatt then the easiest way is to fly in to Geneva or Zurich and hire a car. The transfer tends to take around 2 hours but note that all public cars must be left at the carpark in Täsch. From there, its around 8 minutes on the train or you can get a local taxi, such as Taxi Freddy to take you up to the resort centre. 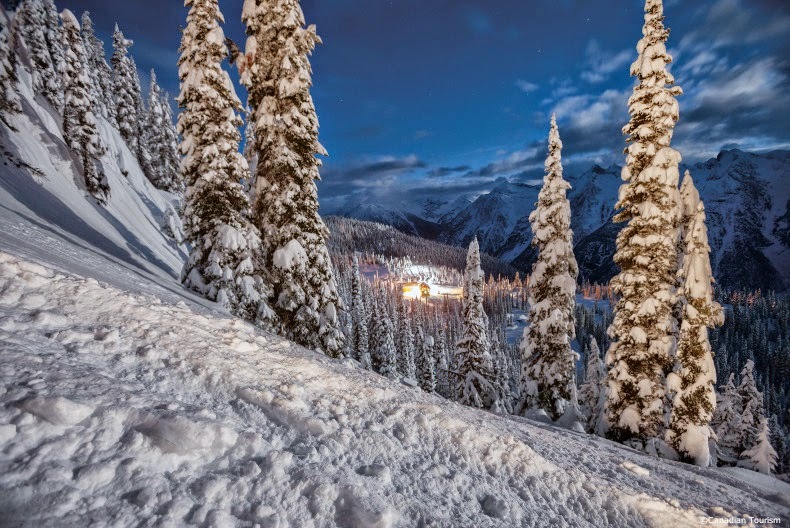 Everyone has heard of heli-skiing in Canada - after all, it is the world's heli-skiing capital with around 80% of the market for this adrenaline fuelled sport. However,as the lesser known mountainous nations have started to promote their national assets ie mountains and ice, the areas often thought as being too remote are proving to be just as good and better value than the established players - Greenland, the world's largest island, is no exception. Some of the best skiing in Greenland can be found on the many islands. These regions often have the deepest fjords with many permanently covered by glacial ice. 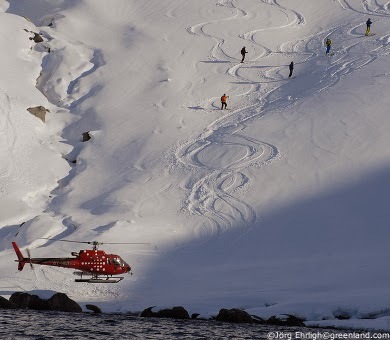 On some of the decents, you can ski from the drop-off point right the way down to the waters edge - something you won't experience heli-skiing in the Alps. See Greenland's Tourist Office website for other activities including snowmobile adventures in to the arctic mountains. Going skiing or snowboarding in Chamonix is very much either love it or hate it. Some just don't 'get' Chamonix. Afterall, the ski areas are spread out across the Chamonix Valley and aren't really linked, there aren't that many lifts and the lift pass is one of the most costly in the Alps. If you've got a good level of skiing, the chances are you'll want to do the Vallee Blanche, the famous off piste itinerary from the Aiguille du Midi lift right back down to Chamonix skiing on the Mer de Glace glacier. There is also the gruelling Chamonix to Zermatt multi-day ski touring route which is a must for proficient ski tourers. So what does all this off piste heaven mean for beginner skiers in Chamonix? We'll be honest, it's not the most convenient place for arranging rendezvous points for ski school, but because Chamonix is one of the most sought after ski resorts in which to work, the level of instruction is excellent, as the cr&egrave;me de le cr&egrave;me of the ski instructors are attracted to the resort. We heartily recommend La Vormaine next to the Domaine de Balme ski area at the end of the Chamonix Valley for beginners. Brevent is the closest ski area to the centre of Chamonix and offers pistes for all abilities, so all levels can have fun at the same ski area. From Brevent you can also take the cable car across to La Flegere giving direct access to the pistes. La Flegere can also be accessed by a cable car from Les Praz village just outside Chamonix. At first glance Flegere has few lifts and not many pistes either. Many think there is little to write home about at La Flegere, but get a guide for a couple of hours and you'll be whizzing around some truly amazing hidden off piste couloirs. At the far end of the valley, Balme can be accessed via Le Tour village (which is next to La Vormaine beginner area) or from Vallorcine, the last outpost of France just 4km from the Swiss border over the col des Montets. We always say Balme is excellent for finding your ski legs and although getting from the Le Tour side to the Les Esserts back side of the ski area involves a very long traverse, it leads to some excellent pistes and off piste possibilities too. That just leaves Les Grands Montets, the ski area in Argentiere. This is the real deal. North facing, what the area lacks in sunshine during the first half of the ski season it makes up for in steepness and long-lasting snow. If we're honest the pistes here are long and challenging, but not they're not the centre of attention. It's all about the off piste. For a first taste of big mountain skiing, you can head in the top Grands Montets cable car where they are two black pistes on the glacier. Mychaletfinder 2013. Travel theme. Powered by Blogger.